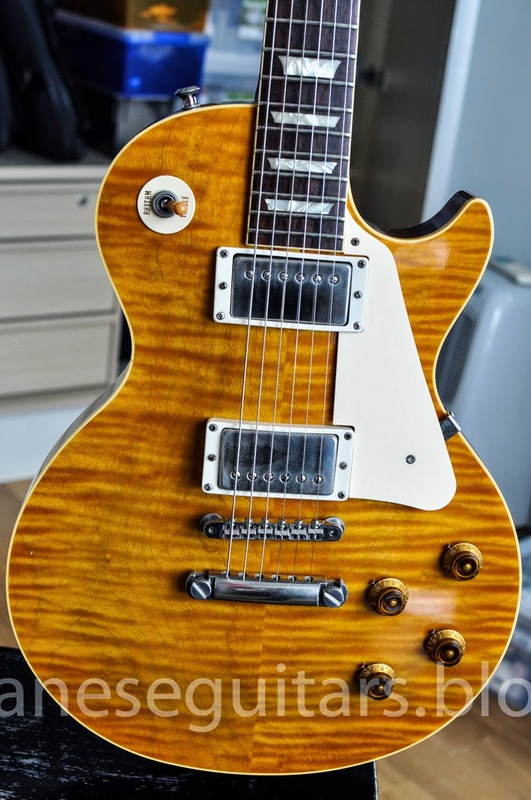 This arrived a couple of weeks back and has me rethinking the need to try out any further examples of the Les Paul standard model. I bought it as shown below - no pickguard and an open Seymour Duncan JB in the bridge. Thankfully it came with the original Seth Lover bridge pickup. It also came with black speed knobs which came off too fast to bother with taking any pictures. 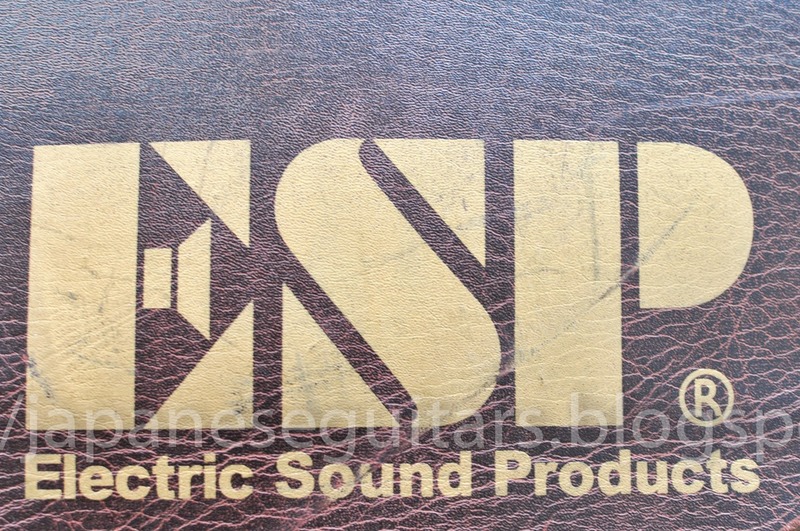 The current model is the N-LP-STD which has basically the same specs as this one. 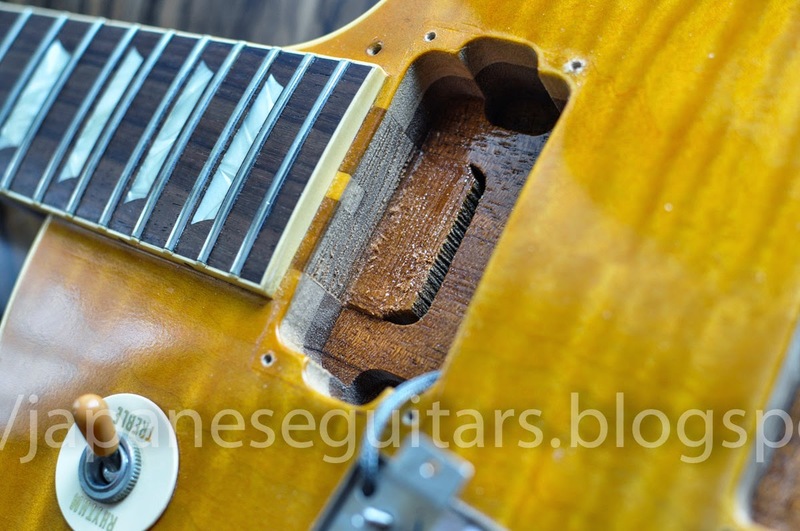 There are also many custom order Navigators out there and special runs that have options such as Brazilian rosewood fretboards and cashew lacquer finishes so you never really know if a Navigator is "off the shelf" or was a custom order. 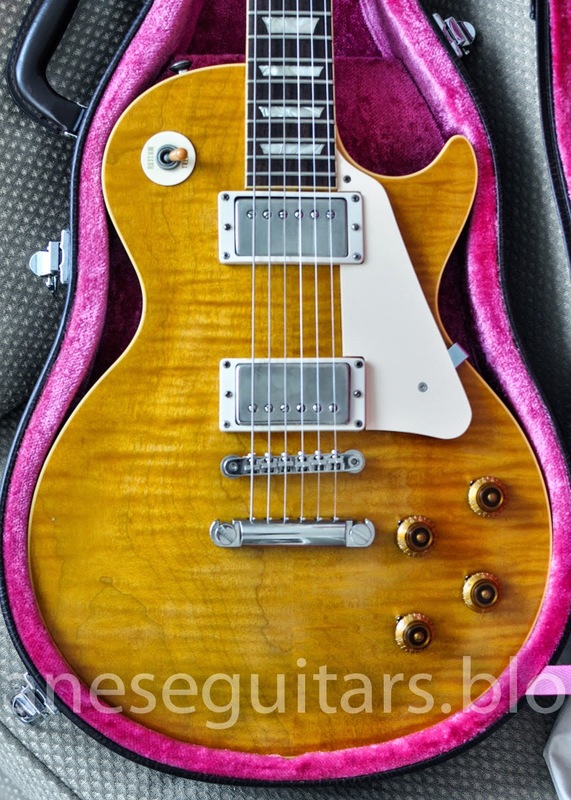 With this one I am pretty sure it is a straight N-LP-380 with a nice top. 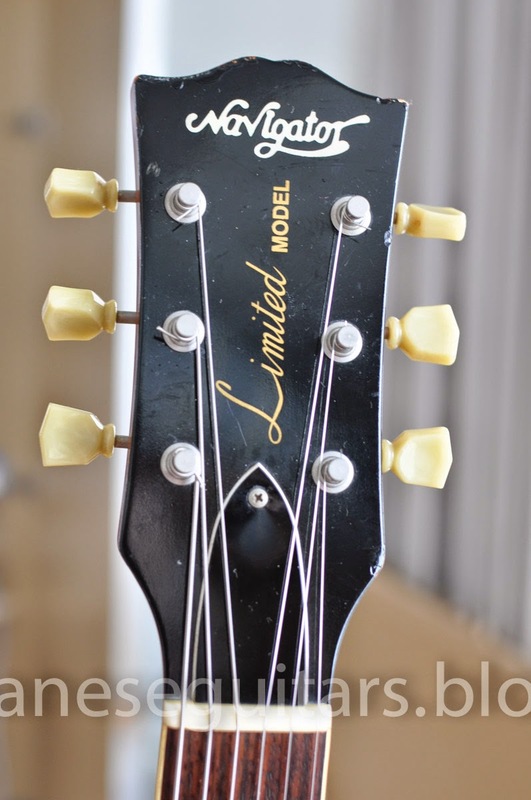 The headstock serial starts with a 1 so it should be a 2001 model. 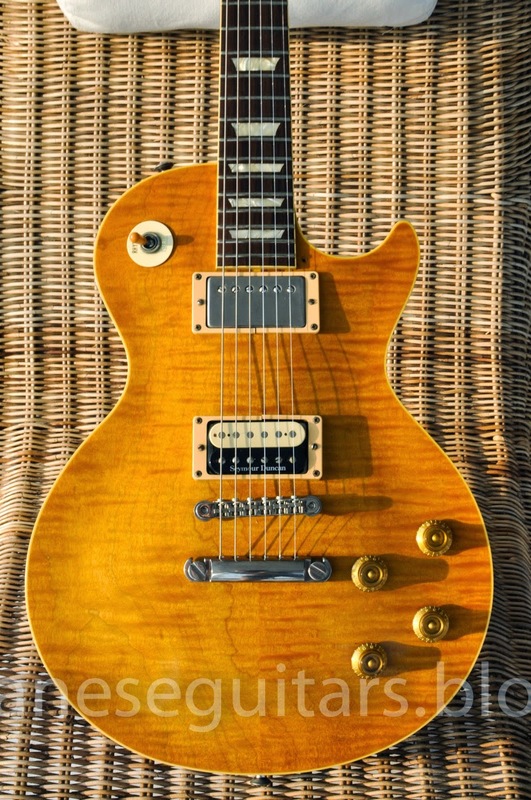 The guitar only weighs 3.9 kg and has a great neck profile with thickness but smaller shoulders. The Seth Lovers match this guitar perfectly. Not much else to do but add some pictures. 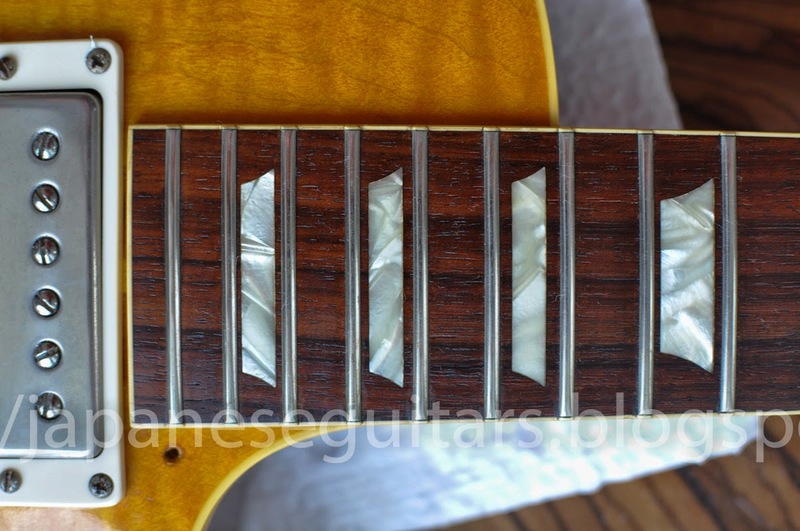 Nice fretboard and inlay work. 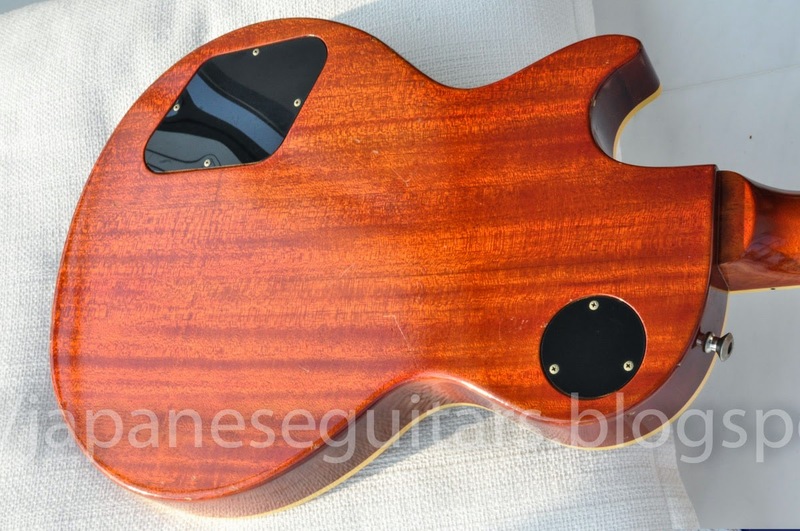 Honduran mahogany back, The cherry finish is light and is a good match of what you see on vintage bursts.